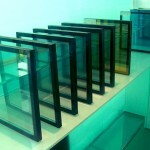 Low-emission glass (Low-E) is a clear glass that allows the sun’s heat and light to pass through the glass into the building. 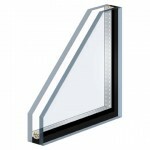 And at the same time, it blocks heat from leaving the room, reducing heat loss considerably. 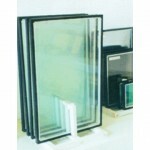 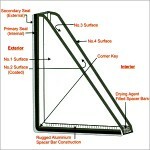 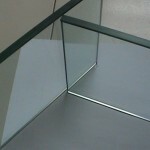 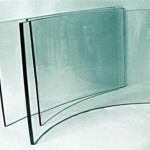 Tempered glass is extremely strong and often used for its safety characteristics. 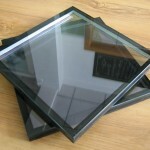 When it breaks, it breaks into little pebble-like pieces without sharp edges. 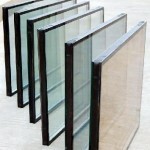 Tempered glass is ideal for reducing the likelihood of injury in the event of breakage in applications like patio doors, side lights, and bathroom enclosures for showers and tubs. 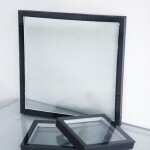 Insulating glass units improve thermal performance by providing a thermal break – two or more lites separated by a sealed air space. 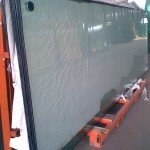 This enables the glass to meet two very different requirements – keeping heat in during colder weather and keeping heat out during warmer weather.